World, say hello to the 2019 Kia Stinger GT Atlantica. GT Atlantica, world. In celebration of the successful debut of the Stinger last year, Kia made something special: a limited edition just 500 cars strong. To honor the international teams that made the Stinger a reality, the GT Atlantica combines styling from various Stingers in foreign markets all over the world. For example, there’s the 19-inch wheels of the European Stinger and the Stinger badge across the rear deck lid from the Korean model. The blue paint is exclusive to the GT Atlantica, as is the badging on the front fender and each side of the vehicle. Inside the cabin, there’s unique Espresso Brown Nappa leather upholstery, black suede-style headliner, wireless phone charger, Surround View Monitor, and heated rear outboard seats. The Atlantica GT, like other Stinger GTs, goes zero to 60 in just 4.8 seconds, thanks to a 365-horsepower engine paired to an 8-speed automatic transmission. If you’re not into exclusive, limited-run models, read on. 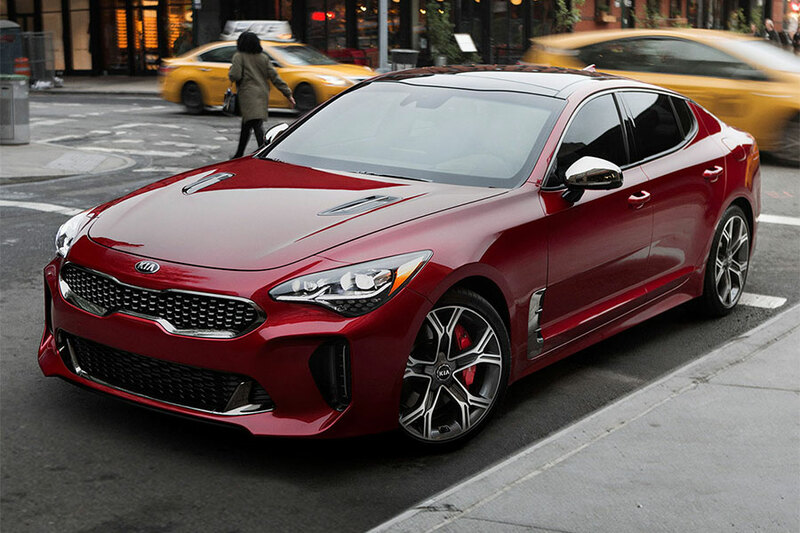 We’ll compare the 2019 Kia Stinger to last year’s model and show you how the Stinger has only gotten better in its second year. The 2018 Kia Stinger had some great safety features on some trim levels. These features were noticeably lacking on the 2.0 base trim. For $31,900, the 2018 model only offers front and rear parking sensors and a rearview camera. Optional safety features run the gamut, from forward collision warning with pedestrian detection and automatic braking, to lane departure warning, to lane keep assist, to driver drowsiness warning, to automatic high beams, to blind spot monitoring, to rear cross traffic alert, to adaptive cruise control with stop and go functionality, to rain-sensing windshield wipers. But you have to go all the way to the GT2 ($49,200) to get the full suite of available safety features standard. By contrast, every 2019 Kia Stinger trim gets standard blind-spot monitoring and rear cross-traffic alert. Furthermore, the affordable Premium ($37,100) and GT1 ($43,250) models join the GT2 in providing all of the Stinger’s safety features standard. Does the G2 get anything new? You betcha. The GT2 now also offers a surround-view monitor standard. The Stinger at every level has been generous with tech since its debut. After all, the 2018 Stinger comes with standard heated front seats and steering wheel, Kia’s UVO infotainment, 7-inch touch screen, six speakers, Apple CarPlay, Android Auto, Bluetooth, USB ports, satellite radio, dual-zone automatic climate control, push-button start, proximity key entry, and power-folding heated exterior mirrors. But if you wanted navigation in your Stinger in 2018, you were limited to the Premium, GT1, or GT2 trim levels. The base trim and the first sport trim didn’t have them. Now voice-command navigation available on any Stinger trim level. 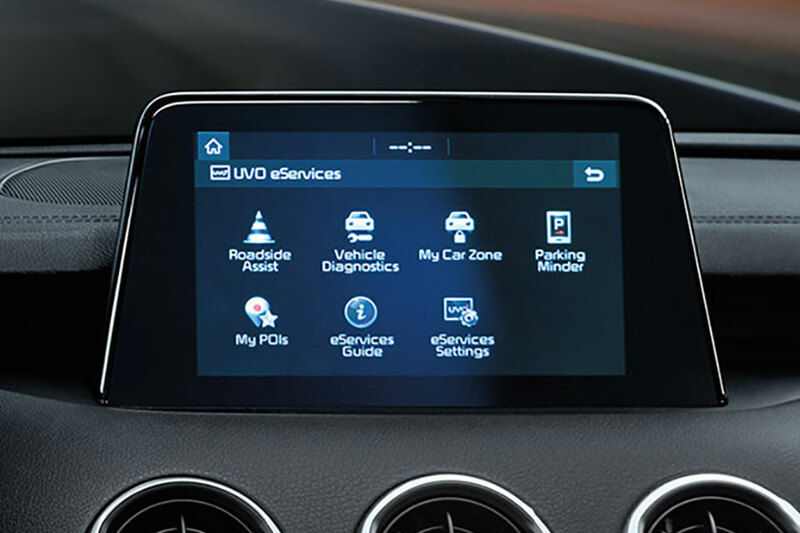 This voice-command navigation is hosted on an 8-inch touch screen display on the center console. Navigation also comes standard on the Premium, GT1, and GT2 trim levels. Finally, the GT2 level also comes with heated rear seats. 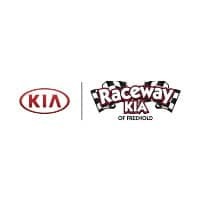 Bottom line: If you like technology and active safety features, the 2018 Kia Stinger has got them, while the 2019 Kia Stinger has even more of them.